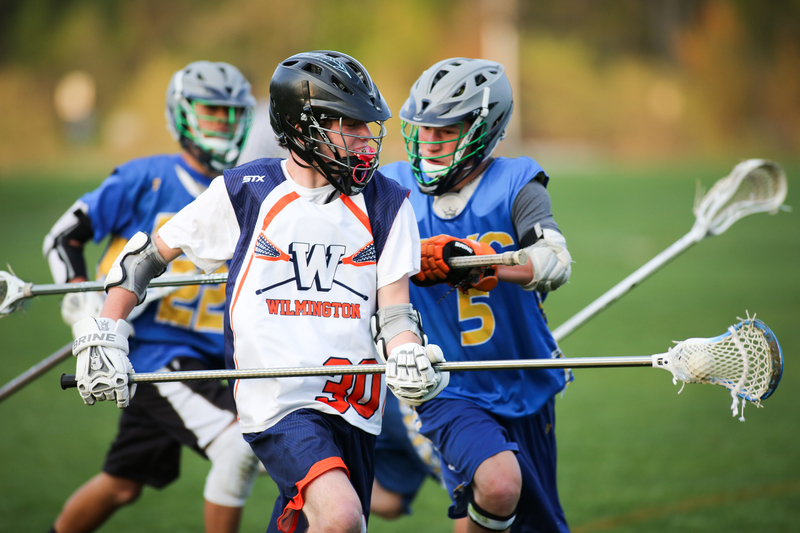 The mission of Wilmington Lacrosse is to provide an opportunity for young athletes to learn and play the game of lacrosse, and to have fun in a safe and positive environment that fosters good sportsmanship and citizenship. Our goal is for athletes to have fun while learning the game of lacrosse. Sportsmanship and teamwork is emphasized at ALL levels. Beginners are taught basic skills and a broad sense of positioning. Experienced players are taught advanced skills, tactical play and specific positioning. April through May: Two weeknight practice. Sunday intramural games and weekend Play Days with other Chester County programs. Practice one weeknight and one weekend day through March. April through May: One weeknight practice, one mid-week game and Saturday games. Each team participates in one tournament in the Spring. Fine development of Fundamental Skills: Scoop, Catch, Throw, Shoot, Dodge --- and combination of these skills. Some Settled offense and defense development. Transition skills and tactics start to come into play. Focus on advancement of fundamental skills: Scoop, Catch, Throw, Shoot, Dodge --- and combination of these skills. Some Settled offense and defense development and strategy. Transition skills and tactics are constant. Having fun while working hard for results. Boys trying out for the A level of these teams should be committed to making lacrosse their priority sport during the spring. Boys who are unsure of their commitment to lacrosse or who play a second sport should make this known to the Director of Coaching during evaluations. These boys are encouraged to try-out for an B or C level team. A key component for the B and C level teams is equal playing time. Our primary objective is to teach the game of lacrosse, teamwork and good sportsmanship. Toward this end, recognizing the commitment that each individual (players, coaches and parents) makes to the program is crucial to the long-term success of the program. Wilmington Lacrosse is supported by volunteers who give of their time unsparingly. WLA works hard to make the team evaluations as objective as possible. If there is a question about team assignments, parents are encouraged to contact the Coaching Director. WLA looks to our parents for additional volunteer support, not only with organization and team help but also with positive reinforcement for their young athlete. Each team’s roster is limited in order to maximize playing time for each child. In order to accommodate as many players as possible and to address the conflicts inherent in our children’s lives, WLA supports a number of levels of play for athletes in grades 1–8. Out of respect for the program, if you and/or your child are unable to make a complete 100% commitment to WLA, please do not encourage your child to try-out at the U15-A, U13-A and U11-A team levels. Players are required to list all activities that may pose conflicts with lacrosse at the time of registration. If you are concerned about equal playing time for your child or wish to emphasize the development of fundamental skills, the B or C team is the best choice for your son. Final say in team selection will rest with the WLA Coaching Director. WLA reserves the right to make roster changes once the season commences if players have persistent unexcused absences from games or practices.